Real Estate Owned (REO) properties have been foreclosed on and are now in the possession of a lender. The lender offers the properties at a discount to recoup as much money as they can. Investors can find REO properties through websites and auctions, REO banks, and real estate brokerages. Investors buy REO properties because they are usually offered at discounted prices due to the fact that they are being sold in ‘as is’ condition. REO properties can be easily found browsing online but they do require some research before purchasing them. REO sites and Auction sites list REO properties for sale from coast to coast. They offer different sale formats such as an auction, contacting a Realtor or bidding directly on the site. Some of these sites also include lists of properties in various other stages of foreclosure. Foreclosure.com offers listings of REOs, foreclosures, and pre-foreclosures. The listings include different types of properties such as condos, single family homes and commercial buildings. Each listing includes square feet, number of bedrooms, year built and type of construction. They provide photos and this site provides the most detailed property information of any site mentioned. They even include a foreclosure timeline and links to information on the county the property is located in. The listing agent’s contact information is listed under each property. This is important because the agent is the goto person to see the property and make an offer on it. You can’t bid on a property directly from the site. Foreclosure.com also provides links to their preferred lenders but if you want other financing options try financing for REOs. 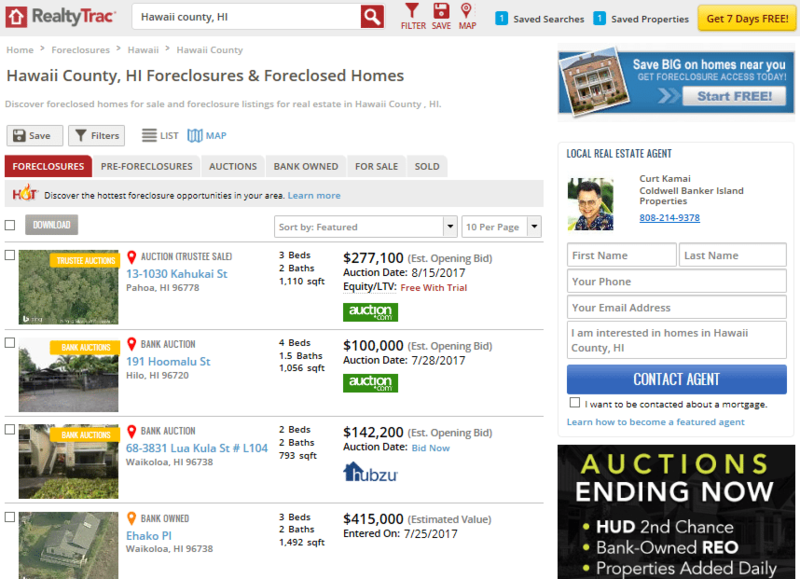 Foreclosure.com has a free 7 day trial period which gives you access to all of the REO listings on the site. After the trial period ends the membership fee is $39.80/month. Auction.com offers nationwide REO and foreclosure listings with brief property descriptions. They include the number of bedrooms and bathrooms, square feet and year built. The site provides interior and exterior pictures. The site focuses on the auctions, more than the properties and features calendars for upcoming auctions by state. They do not give any neighborhood information. If you have questions about the properties or the bidding process you can call the site’s customer support line which is posted next to each property. Auction.com is the only site that you can bid on a property directly on their website. You have to sign up first to be a registered bidder and much like other auction sites, most properties have a reserve price that must be met before you will be considered the winning bidder. You can’t use real estate auction financing for any of the REO properties on the site, cash is the only option and the auction fee is a minimum of $2,500 or 5% of the sales price. An example of an Auction.com search is below. RealtyTrac is an REO directory of directories. 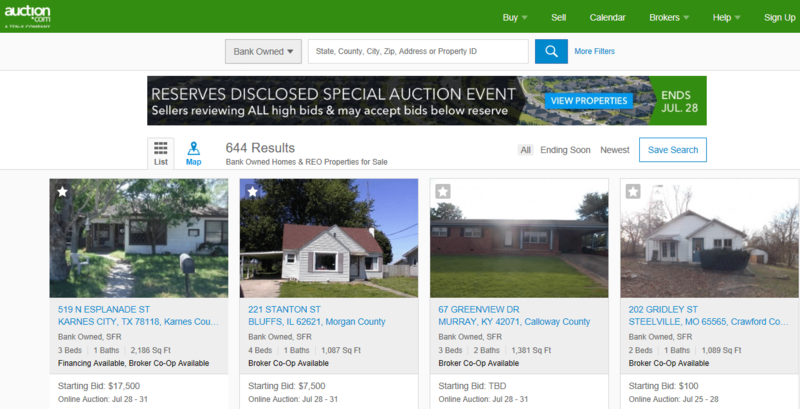 It provides some of its own REO listings, foreclosures, and pre-foreclosures, but it mostly links out to sites such as Auction.com and Hubzu. Once a member you can access all of the property information. This includes interior and exterior photos, number of bedrooms and bathrooms and square feet. RealtyTrac contributes local school ratings, neighborhood stats, environmental risks in the area and a foreclosure timeline. 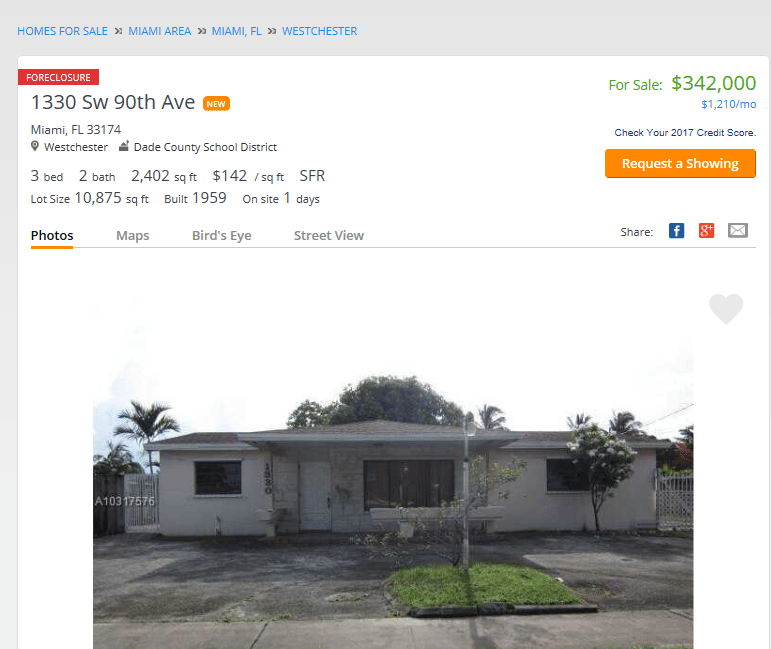 They also provide detailed market comparisons between the featured property and other properties in the neighborhood in similar condition. The site includes contact information for realtors who can show you properties and help with the purchase process. However, you can’t bid on a property directly on the site. RealtyTrac offers a 7 day free trial and after the trial ends it is $49.95 per month. A RealtyTrac REO search page looks like this. A real estate broker helps investors find REO properties. Real estate brokers provide property listings with information that isn’t always public. They know how much the house was last sold for and what mortgage company foreclosed on it. They have been inside the property so can give an accurate description of its current condition. You can do a Google Search for real estate brokers, get a referral from a friend or family member, or call your local real estate office and ask if they deal with REO properties. Before contacting a real estate broker, you need to know what neighborhood you want to buy in and what type of property you are looking for. You also need to have a price range in mind and a way to finance the REO property. Large real estate brokerages will have an entire REO division, and some of the smaller companies will just feature a few Realtors that handle REOs. There are also brokerages that specialize in REO properties. They work with bank’s REO departments and asset managers directly to list the bank’s REO properties. Realtors have access to the Multiple Listing Service (MLS), which is a centralized real estate database that lists real estate for sale in a selected area. A real estate broker’s REO listings will look like this. Once you have searched for REO properties using online directories and/or real estate brokers, you may want to search on REO Banks and Government Loan Insurer sites. 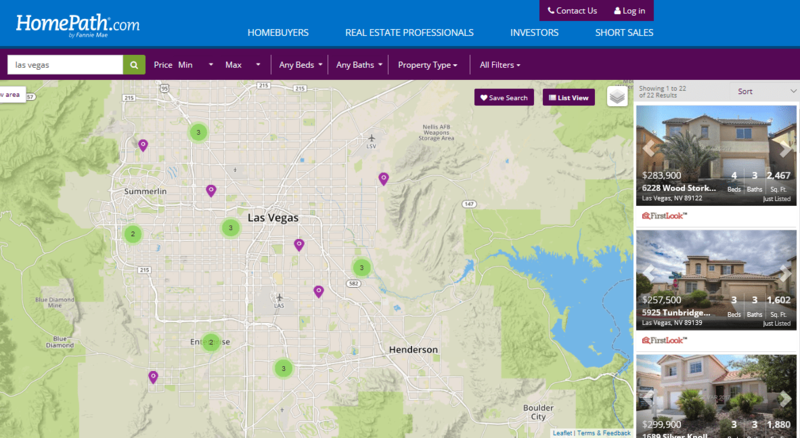 These sites feature their own REO listings, however, they don’t list foreclosures and they don’t offer as much detailed property information as the REO directories and real estate brokers do. Some listings feature photos and others do not. Each listing has a contact person listed next to it who is the realtor that can show you the REO property and help you make an offer on it. All of these sites are free and you can’t bid directly on the site. HomePath.com by Fannie Mae offers nationwide REO properties and short sale property lists. Each listing features a short property description including number of bedrooms, square feet, and year built. They feature interior and exterior photos and links to the county site the property is located in. They provide links to the local public schools and to information on community statistics like average household size. A listing agent is listed next to each property and this is the person to contact to see the property or just get more information. You can make an offer directly on the site by uploading your contract or having your realtor do it for you, but it is not a bidding process. The site is free to use. HomeSteps lists Freddie Mac REO properties for sale nationwide. It provides brief property descriptions starting with the type of property. They include the number of bedrooms and bathrooms, square feet and the year built. The site also provides interior and exterior pictures. The public schools are listed, no links given, and no community information is provided. They do offer home affordability calculators so you can see what price fits in with your budget. Each home has a listing agent’s contact information beside it so you can easily reach out to him/her to schedule an appointment or make an offer on the property. The site is free and you can’t bid directly on it, but you or your realtor can submit an offer on the site. Here is what a HomeSteps REO listing page looks like. REO Banks list a wide range of their own REO properties for sale. They acquired these properties during the foreclosure process. Below is a chart on the top REO banks, including where their properties are located and what types of properties they sell. There are 6 important steps to take after finding an REO property. They are important because they will help you find a property that interests you, make an offer on it and get the best deal on your REO property. Contact a Listing Agent – Make sure all your questions are answered by an agent or property representative. Schedule a Walk Through – Examine the property in person to see if you’re still interested since there may be discrepancies between online info and the house’s current condition. Schedule a Home Inspection – The seller won’t be making any repairs but it’s important to know what needs to be fixed right away and if there are any serious issues. Schedule an Appraisal – This will tell you what the home is worth. Keep Your Budget in Mind – Make sure you are still in line with your budget after you find out the results of the property inspection and appraisal. If you need financing for the the REO or renovations, consider LendingHome. They offer interest rates as low as 7.5% and they’ll lend up to 90% LTV and 75% ARV. Prequalifying online only takes a few minutes. The foreclosure process starts when a borrower defaults on their mortgage payments. The lender files a public default notice and attempts to collect the balance of the loan. The process is important to understand so you know the steps leading up to the REO stage and can follow properties through these steps until they become REOs. The foreclosure process begins when a borrower defaults on a mortgage loan. The amount of default time varies by state and per your loan documents. After the default occurs, the lender files a Notice of Default which states that the borrower has not made their payments by the predetermined deadline. The borrower is now in pre-foreclosure status because he/she stopped making mortgage payments. At this stage, the borrower has the opportunity to pay off the outstanding debt, partake in a short sale or sell the property before the foreclosure takes place. A short sale is where the lender agrees to let the borrower sell the property for less than the debt owed on it. The borrower is not permitted to make any money off of this sale and may owe taxes on the deficit. If the borrower does not take any of those steps to remedy the situation he will move into foreclosure. Foreclosure is the forced sale of a property during a legal process. The lender attempts to recover the borrower’s loan balance by selling the property, which is the collateral for the loan. The timing of the foreclosure process varies by state. During this time, the borrower can still short sale the property or pay off the balance owed. These options are available up until the property goes to a foreclosure sale. This forced sale of a foreclosed property happens after a Notice of Sale is published. This is an order signed by a judge, which gives instructions that a public auction will take place where the foreclosed upon property will be put up for sale and can be bid on at a public auction. The sale usually occurs at a courthouse or government building. The unpaid lender may bid on the property using his unpaid note towards the property. Registered bidders from the public can bid on the property too. Auctions offer discounted prices on foreclosed properties but depending on the type of foreclosure, the property may be sold Subject To. This means that it is being sold with a lien on it. It will come with whatever lien is being described as subject to. The person who purchases the property will then be responsible for that lien. REO properties have already gone through the pre-foreclosure and the foreclosure process and are now owned by the lender. That is why they are called REO, or Real Estate Owned. If they were put up for auction, they did not sell and now the lender wants to sell them to get them off their portfolio. Once the REO stage is in effect, the borrower cannot get the property back. The only way to get the property now is to buy it for the lender’s current asking price. REO is the final step in the foreclosure process. Now you know that REO properties can be found on Online REO Directories, Real Estate Brokerages and REO Banks and Government Loan Insurer Sites. Each of these platforms provide different ways of researching and purchasing the properties. Take your time, do your research and find yourself an REO property. When you are ready to start looking for REO properties, Foreclosure.com gives you 7 days to try out their site for free. You can search for foreclosures, REOs and pre-foreclosures in your state and price range. Allison Bethel, thank you for the very detailed info. I’m an investor currently looking for REO lists from asset managers. Do you know of any asset managers unloading REO listings for banks nationwide, please. Hi Marie: You’re welcome, I’m so glad you enjoyed the article. I would ask a local realtor who works with an asset manager, they can be a great source of information, call a real estate brokerage and find out who specializes in REOs and then speak to them. Other ways include doing some online searching in your area and checking on banks’ websites for their REO divisions and there you will usually see an asset manager’s contact information. 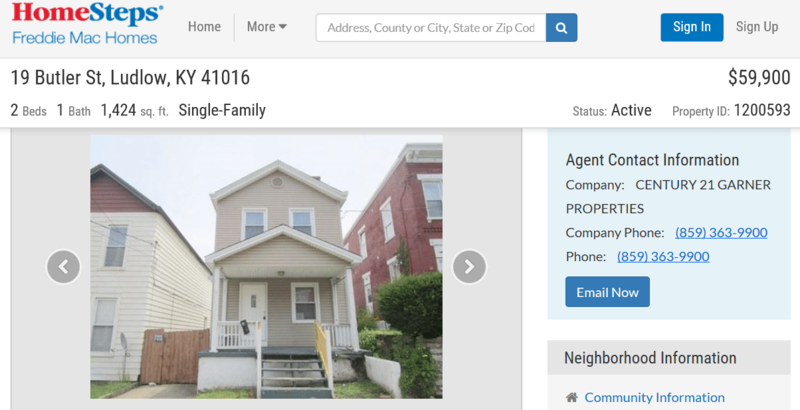 If you see any REOs listed online, for example on Zillow or Realtor.com, look for the agent’s name that has a few listings and they may be able to give you a list as well. Where do you find free forclosure listing?? Thanks for checking out our site and reading the article. 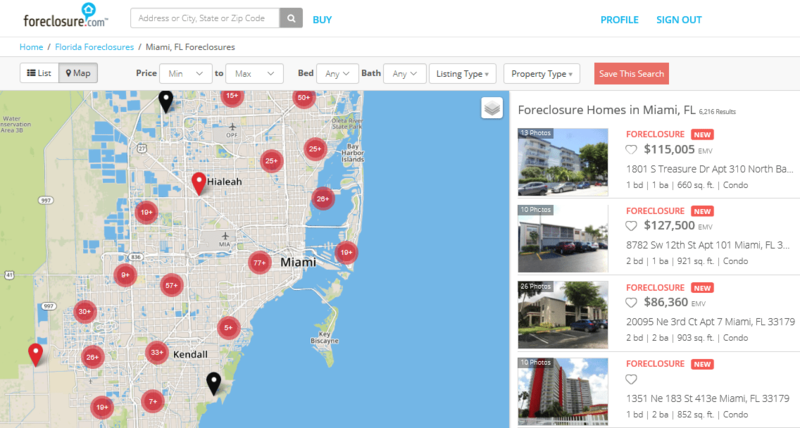 You can find free foreclosure listings in a few different ways. You can work with a realtor who will send you the listings, you can look on sites like Zillow and choose the foreclosure category and then narrow it down by zip code, price range etc. The HUD website has some listings as well and sites like foreclosure.com offer a free trial period. If you want to put in the legwork you can also check in legal newspapers that publish notices of foreclosure and go down to your local municipality and check for any lis pendens in real estate and notice of defaults, then you will know that the foreclosure process has started and may be able to contact the owner before they list the property. Thanks for reading Shobha. Glad you found the article helpful. Check out our article on preforeclosures too.